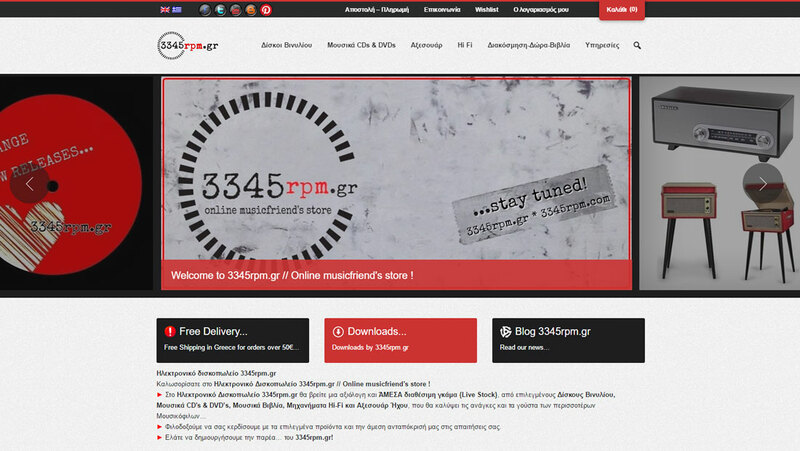 The electronic record store 3345rpm, is an e-shop selling vynil records and turntable accessories. We undertook the transition of all products to WooCommerce as well as the customization according to the specific needs of our customer. Utilizing the capabilities of WordPress and in conjunction with the analysis, design and programming services offered by iBS, we achieved in short time the implementation of 3345rpm.gr.